For the last decade, Chas Pippitt and his team at Baseball Rebellion have worked tirelessly to develop, hone, and implement the Baseball Rebellion Methodology. The Baseball Rebellion Methodology has helped thousands of baseball and softball throughout the years dramatically increase their power and velocity while maintaining healthy movement patterns. Baseball Rebellion is located in its 12,500 sq ft training facility in Durham, North Carolina. The state-of-the-art facility houses four HitTrax systems, one Rapsodo Pitch Tracking system, and two dedicated video rooms. Baseball Rebellion strategically uses every bit of technology at their disposal to PROVE IMPROVEMENT with all of our athletes. 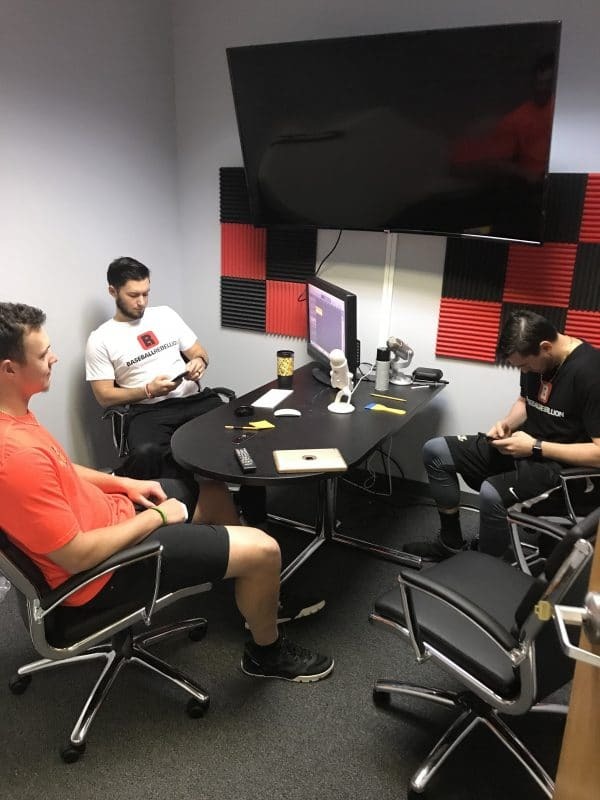 The Baseball Rebellion team not only gives lessons at our Durham, North Carolina but we create content for nationally recognize www.BaseballRebellion.com and our various social media accounts. We have also developed training products used in all 50 states and over 13 countries, the most well known of them being the Rebel's Rack and Launch Angle Tee. Also, launching at the end of November 2018, BR Premium will house Baseball Rebellion's most exclusive new content, as well as premium content from baseball/softball industry experts. The Baseball Rebellion Consulting Program is Baseball Rebellion's newest endeavor. We are in the process of extending our services through consulting opportunities to colleges, travel organizations, and facilities from around the country and help them deliver the highest level of instruction to their athletes. We're excited to talk to you in length today about the Facility Consulting Program! No matter where you live in the country, you probably live close to a Baseball/Softball training facility. These facilities come in all shapes and sizes. Some are a couple of cages tucked away in the corner of a strength and conditioning center., some are franchised with coin-operated machines, some are run by former professional players who want to continue to stay involved in the game they love. No matter what the facility is or looks like, the fact of the matter is that Baseball/Softball training facilities fail at a high level. The reasons training facilities fail are numerous but we'll talk about three major reasons below and how Baseball Rebellion can help you avoid these mistake and thrive! Many facility owners from around the country have a major two major flaws when designing their facility. They don't maximize their space to maximize profits, and they don't invest in quality materials and hardware. You may walk into a new facility and on first glance, it looks nice, but to the trained eye, there are many costly mistakes. When facility owners first get a blank floorplan canvas to work with, they get extremely excited. Most start laying out their facility based off others they've seen. Batting cages, maybe a pitching tunnel, an area to do fielding, some sort of weight room, and hopefully some kind of waiting area for the parents. This is where issues start to arise. A facility you first thought of as having too much space, now doesn't have enough. Do you do 4 hitting cages, a fielding area, and no weight room or 2 hitting cages, a pitching tunnel, no fielding area, and a big weight room? But now where are the parents going to sit? So many questions running through the new owners head and it all the answers seem like guesses at this point. Will there be teams associated with your facility? Once these basic considerations are made, then the facility owner can start thinking about their facility. While designing other considerations need to be made including the flow of traffic, noise, building code, etc, etc., etc... Why worry about all of these variables? Why worry about the business of setting up a facility when you got into this business to teach the game you love? Why worry about losing revenue because of an unused area. Companies from around the country rely on industry experts to lay out their facility, so their business succeeds; if you're serious about the success of your business, you should too! 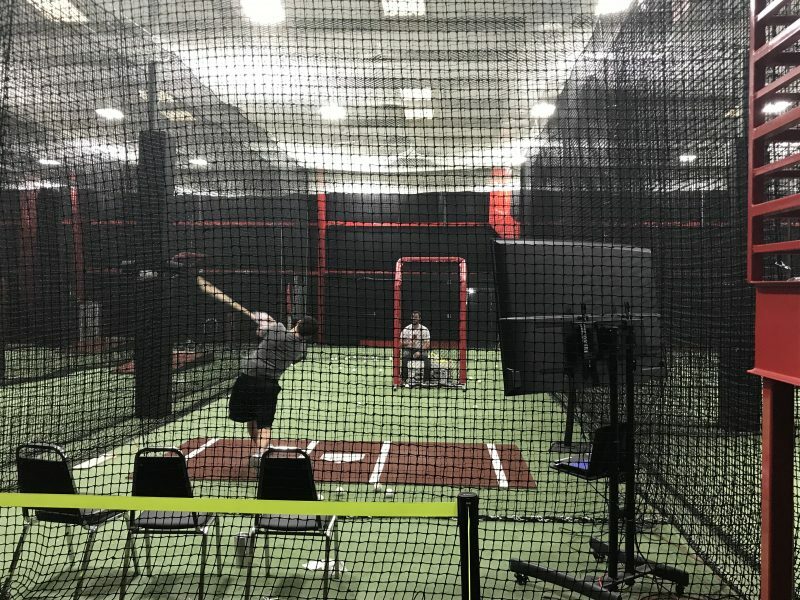 Baseball Rebellion has done it all: weight room/no weight room, dedicated team rental space/no team rental space, one pitching tunnel/two pitching tunnels, small parent waiting area/HUGE waiting area; the list goes on and on. We're made our mistake in the past, and we found the same answer that is discussed above: Follow your Business Plan! There may not be a 100% perfect way to layout a facility, but there definitely are 100 different wrong ways to lay one out and lose money before you even get started. With the knowledgeable staff at Baseball Rebellion, we will ensure that you maximize your space so getting every bit of revenue out of every inch of your facility! I'm sure you've heard the adage, "Spend your money where you spend your time." This quote means it is important to invest your money in things like durable shoes, a safe car, and a comfortable bed because these items are where you're spending a majority of your time. The adage holds when investing in a baseball/softball training facility but most new facility owners forget this once they start purchasing for their facility. When you go through vendors, you get a variety of options for netting, turf, screens, flooring, and lighting. It can all seem very overwhelming. You don't know what you need to spend money on and what to skimp on in your facility. When it comes down to it, you're probably just going on what you've seen in other facilities but does that mean it's right for your facility? Are 4 Iron Mike Pitching Machines best for your facility? Does your facility need AC? What kind of lights are you looking for? Should you wait on buying ball tracking technology? Can you get cheaper netting and just put up fences? You think you know the answer, but you're not sure. You NEED to be sure. These are important, high-value investment decisions. You need an expert on your side to help you with these decisions. These are just some of the areas of your facility that should be of the utmost importance to you when budgeting. These are items that if you invest in quality now, you will not have to replace in the near future, and you do replace them, your salvage price will be higher. We know what you're thinking: "This is all easier said than done. I have a budget." We know you do, that is why we carefully go over your business plan with you to help you identify areas you can save money and areas you need to invest in. Quality facility upfit material is one of those areas. To help you, Baseball Rebellion is going to use its industry-wide buying power to help secure the best possible quality and pricing to up-fit your facility. 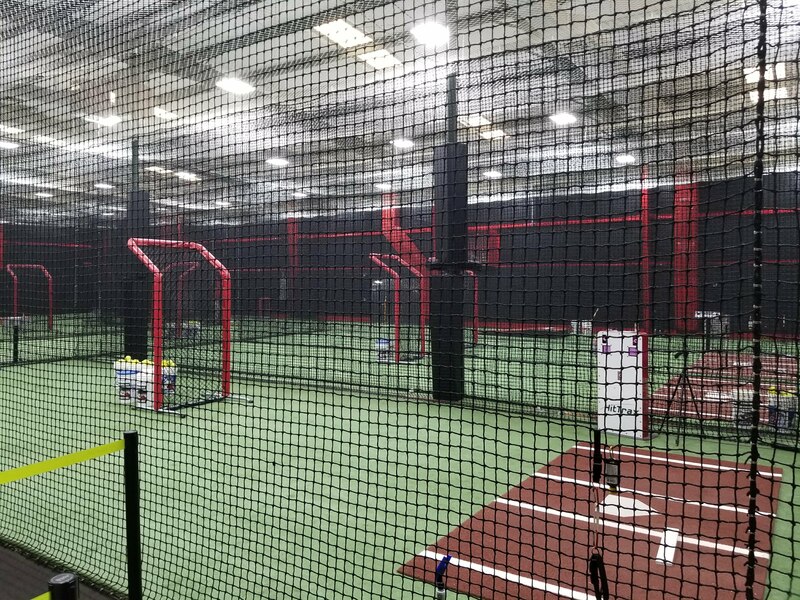 You'll save on already discounted wholesale prices you get from vendors and save even more if you want HitTrax technology in your facility! At the end of the day, even if you don't care about our expert opinions on staffing and systems, Baseball Rebellion can still help you save BIG when building up your new facility! Already ready to find out more? Email Baseball Rebellion for more information about of Facility Consulting Program! We love sayings at Baseball Rebellion, and one of our favorites is, "make sure you have the right people on the bus before you start your trip." We want to add to that though and say, "Make sure you have the right people on the bus, in the right seats and talking the right talk, before you start your trip." This addition is especially important when running a baseball/softball training facility. You have to make sure you are putting people in positions where they can be successful and help your business the most. Furthermore, you have to make sure that Sometimes this is difficult for small businesses because of their limited budget, but it is better to do it the right way from the beginning. Do you want your instructors to focus on their lessons or do you want them to worry about scheduling those lessons as well? Do you want your staff to have to worry about marketing their service or have them “worry” more about retaining their current clients? Do you as the owner want to worry about all those different things? At Baseball Rebellion, we look at our instructors as the “Talent.” Comparable to a movie set, the talent wouldn’t have to worry about scheduling catering, editing the movie, or scouting locations. These tasks are left to the “Professional,” the people whose job it is to do these type of things. At Baseball Rebellion we want the instructors to focus on what they are good at and have a person(s) in place to handle as much else as they can. Many times, for facilities just starting, this means hiring a person to manage the scheduling, customer service, and financing. If you don't have that person, Baseball Rebellion can use its network of professionals to help you find some to run your day-to-day business effectively. If you have this kind of person in place already, great! Now you have to make sure this person has systems (next section) in place to make the business run as smoothly as possible! The business model for many baseball/softball facilities is to rent cage space not to the client but the instructor. This business model is great right? You get paid and don’t have to worry about interacting with any kids or parents. Get two or three of these instructors, and you’re set, right? WRONG! In this model of business, the client becomes loyal to the instructor not the facility. So when that instructor misses a day, you lose all the instructors business for that day. Even worse, what if the instructor gets a better cage fee from the facility across town? Then you lose all your clients business and are stuck spending time (and money) looking for another instructor to fill in that instructor’s time. High instructor turnover can kill a training facility. Unless systems are in place (discussed in the next section), instructor turn over or part-time instructors can lead to client turnover, and you will find out moving forward that a common theme moving forward is that client retention is a whole lot easier (and cheaper) than client acquisition. Baseball Rebellion believes in hiring professional, full-time instructors to run the lesson side of your business. Baseball Rebellion will help you find the right people to put into these positions and help train them in the proven Baseball Rebellion Methodology of baseball/softball training. We have demonstrated that having professional instructors that all speak the same “language” of the Baseball Rebellion Methodology increases client retention because the client can move from instructor to instructor and still receive the same level of high-quality instruction. Even though baseball/softball facility owners seem to forget; like in any other business arena: the right people in the right systems equals success! Email Baseball Rebellion for more information about our Facility Consulting Program! Anyone who has been around a championship team knows that their success generally comes from a group of talented individuals working towards a common goal. We always hear coaches from these teams talk about the players and coaches following “process.” The “process” these coaches are referring to is a set way that their team handles themselves, everything from how they get ready for practice, to how they dress, to how they train in the off-season. Everything is planned out, and everyone on the team knows what is expected. Facilities should run no different. However, many facilities fail to recognize this point. They might have a few pages of an employee handbook and rules on the wall, but they don’t have a system in place for their employees to follow and refer to when needed. This lack of procedure is a significant oversight that is detrimental to a facility, or any business for that matter. Do you have a way of doing things at your facility? Does scheduling work a certain way? Does your staff answer the phone a certain way? Does your staff talk about your packages and memberships in a certain way? Chances are the answer is "yes." The bigger question is how easily are these practices learned. Is there a system in a documented system in place that can be shown to new employees and referenced by current employees. If you have an "employee handbook", how often is it referenced and updated? These procedures are the key to your facility running smoothly so your lessons (classes, training, practices, etc.) run smoothly. These procedures are the engine behind your business and you need to make sure they are in place. Baseball Rebellion has put the time into methodically documenting every aspect of our premier customer service. We have developed a knowledge database of our entire operation. The knowledge database is in place to help new employees thrive in providing the highest level of service from day one and help current employees answer questions in the blink of an eye. We have a business and customer service system that can be duplicated and placed into a new facility with ease. Baseball Rebellion will provide in-depth training to your current staff members and be around to answer questions at any time (if they're even needed!). Do you like you scheduling systems? Are you really stuck in the way you're doing things at your facility and think they work? That's ok! 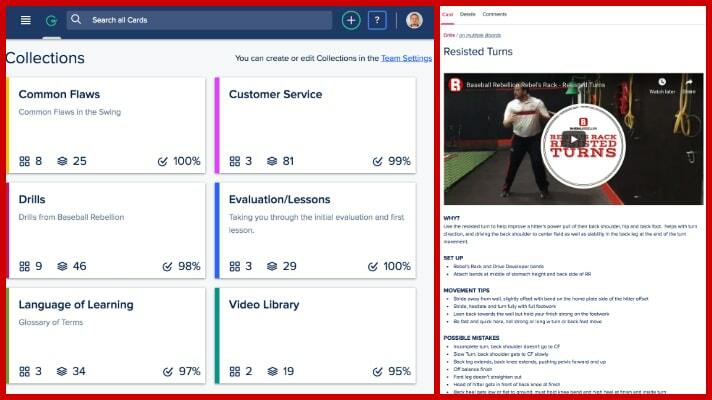 Our staff at Baseball Rebellion will happily audit your business procedures and help you design your own Knowledge Database and help you leverage your business operations. You may have followed through and corrected the first two facility flaws discussed, but you're still destined to fail. Why? You have a beautiful facility and instructors all ready to go, what could you possibly be missing now? What your missing is a system, or methodology, for your instructors to follow. Having a method is VITAL for the success of your facility. It allows for your instructors to all be on the same page with the other instructors and all saying the same thing to the client. You don't have a documented methodology/system for your instructors to follow when teaching athletes. Let's say you have four instructors and they all teach their way of doing things to their clients, even if it's just minor changes in technique. Let's say each instructor does 30 lessons per week. Things are well for your business when they are all there, but what happens when one of them leaves for vacation, or even worse, leaves for good? Well, now you are out possibly 30 lessons per week as a facility because that instructor's clients are only going to him because they like what he says the best. You have created Instructor Loyalty at your facility. Instructor Loyalty kills facilities. In the second example, you have four instructors who each do 30 lessons per week, HOWEVER, they all teach the same hitting methodology to all of their athletes. Do they all say it a little different? YES, definitely! (They're not robots!) But they are all moving their clients in the same direction and goal in mind. Now, let's say that one instructor takes a week off. Instead of all the clients leaving and the business losing 30 lessons, you able to seamlessly move the clients to the other instructors. This scenerio is an example of having Facility Loyalty at your facility. Facility loyalty will make you a lot of money! The Baseball Rebellion Methodology is the cornerstone of Baseball Rebellion's success. The BR Methodology is a system of instruction and client customer service that allows repeatable, high-quality instruction throughout the brand. The system is documented and communicable in such a way that new instructors can be well-versed and competent in the system in less than two weeks. More than anything, the BR Methodology works; it gets baseball/softball athletes better, faster. It has been proven with data and has been repeated across different genders, age groups, and body types. We are excited to share this methodology with facilities that are interested in being POWERED by Baseball Rebellion! Yes, we can guess what you are thinking again, "I like the way I teach, it worked for me. I can teach it to people, and they can teach it to others." We believe the first part of your statement, it probably did work for you, but really think about the second part. Baseball Rebellion and our owner Chas Pippitt have spent years crafting, documenting, teaching, and proving the Baseball Rebellion Methodology. We have proven our system time and time again. We know that we can use this system to help any facility from around the country make their instructors better, make their clients better, and make their business more profitable! If your going to build it, build right. Build it with Baseball Rebellion! Thank you for taking the time to read through all our thoughts on building a proper Baseball/Softball training facility. As you can hopefully tell by now, we are very passionate about this subject. I know we covered a lot, and truthfully, if you think you only need help in one of these areas, we're still here to help. We can't have a Baseball Rebellion in every town and city in America, but we genuinely know we can help people build successful facilities (of all sizes) that are POWERED BY BASEBALL REBELLION! If you are interested in information, please contact us in the form below.